Oh yeah, that portrait is spot on! It goes well with a ready stance as in the top picture. Maybe throw in a third arrogant smirk portrait. For the pose I hope we see something more interesting than the same fighting stance as PCS. Are the two torsos for every release still a thing, or not? Eric did say a potential pose for Honda in video but I don’t want to start speculation he can answer that himself. I like the idea. 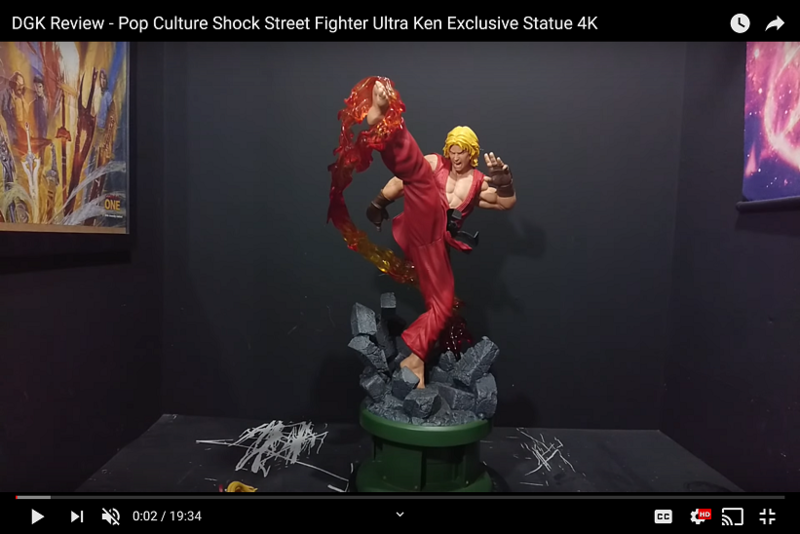 They were planning to do 1 torso with rest of characters after ryu but fans wanted 2 for akuma 2 for Ken so we getting it. If fans want 2 for Honda we will surly get it though it will raise prices. Yeah that’s it hopefully that early stages as I’m not feeling the gut. Please don’t make him fat Eric. 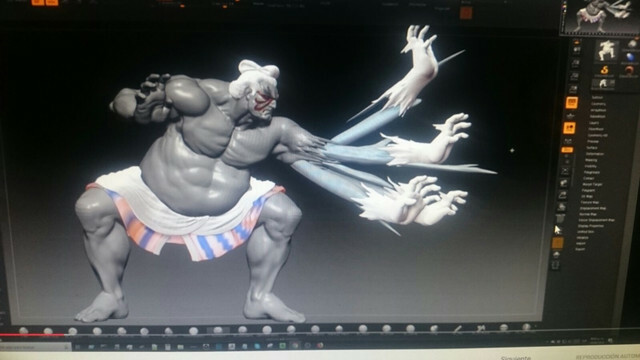 Also if I can make a suggestion I think it would be best to sculpt Honda with 1 arm attached to his body than add the effects of the 100 hand slap on top of that arm. 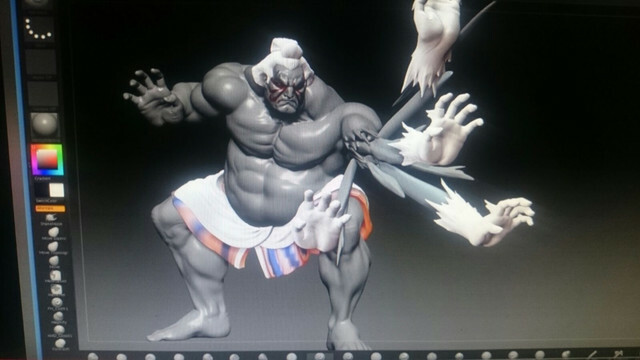 As I said earlier I’m sure this is early stages but at this stage that Honda hand looks more like a cyborg with multiple hands coming out of his armpits. 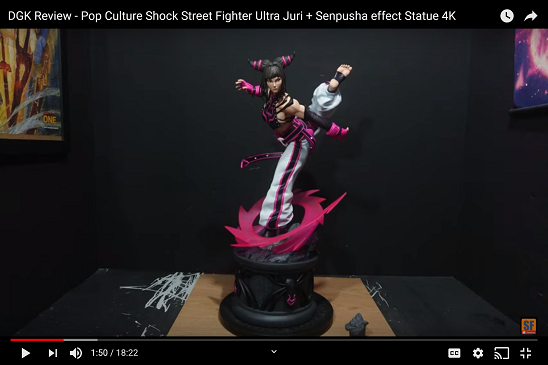 I hope you understand what I’m tryibg to convey but if not I think this is a good example of how to get that effect more realistically from your sculpt. You can clearly see 1 arm still attached to body and effects around that attached arm. 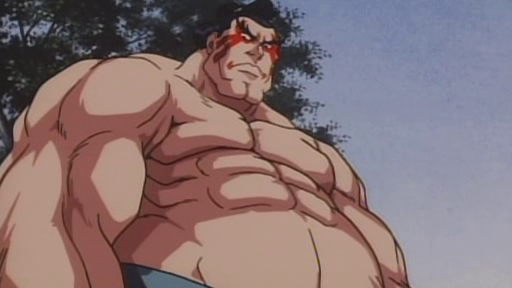 The SF2 E. Honda sprite has definition in his gut. The animated versions as well. Doing otherwise is not respecting the source material. He's fat AND very, very muscular. I'm not feeling those renders yet. He needs broader shoulders, more barrel chested, less pear shaped. But overall very promising. The intensity is great, better than PCS, which looks lifeless IMO. I would not display him with the hand slap. I don't care for "action features" in my statues. I really want to see a different pose, that exudes his character. Erick said that Honda was an early job, so he still has a lot of work to do on his belly. And if they have to do two torsos, surely the second one has a more static pose. And everyone will be happy.